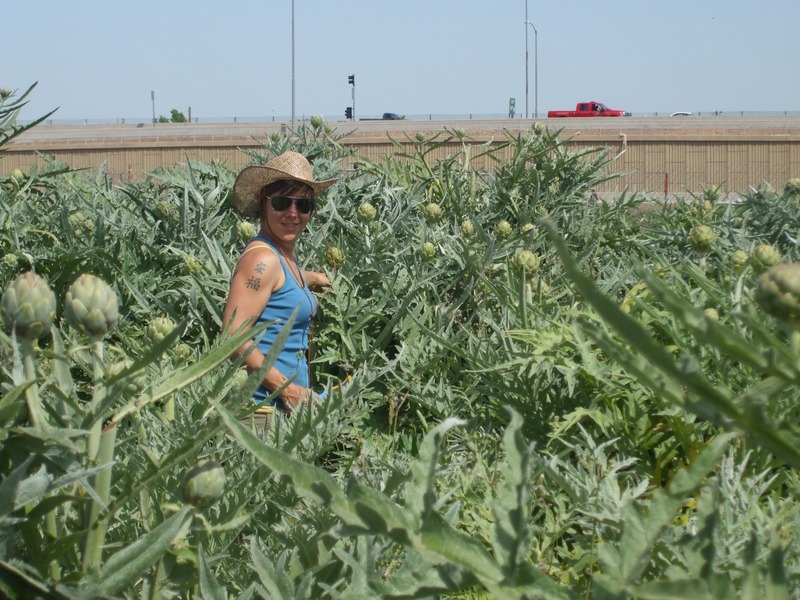 I live in Prescott, AZ, and am the coordinator of the Prescott College CSA (Community Supported Agriculture) and the Prescott Farmers Market. My passion is food and all things related: nutrition, cooking, food justice, sustainable agriculture, farmworker rights, and local food systems. 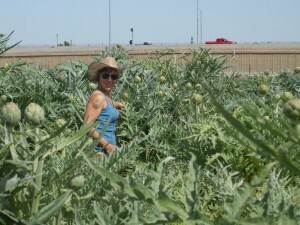 I am a graduate student in the Prescott College/ISE program with an emphasis in Community Food Systems. How did you become introduced to the ideas of social ecology? How do yo define social ecology when asked about it? I became interested in Social Ecology because I wanted to continue my education with a study that addresses the relationship between society and nature, particularly how it relates to food. I already lived in Prescott and worked for Prescott College, so the PC/ISE program resonated with me. Social Ecology provides a theoretical lens through which to view food systems. One of the most obvious ways that people experience and relate to nature is through growing food and our food choices. And an important part of an ecological society is one in which local food systems are strengthened and respected, where eaters have a direct relationship with their food and those who grew it, and fresh and healthy food is acknowledged as a human right rather than as a commodity. There is a multitude of crises facing our and our children’s generations, yet they are the very things that make this time so rich with opportunity. Changing our relationship to each and the natural world, and adapting to a post-carbon society, will require the participation of everyone, so the single greatest challenge is the mobilization of so many people. That said, we have an amazing opportunity for more bridges to be built between seemingly different social, environmental and political movements, as more people realize that what we all fight for is really the same goal: an egalitarian society in which we treat each other and natural world with respect, our technology and infrastructure is no longer reliant upon damaging non-renewable resources, and health care, healthy food, education and public transportation are viewed as basic human rights. What do you see as the biggest positives and negatives associated with the “foodie” movements? The growing interest in food and where it comes from is incredibly beneficial to farmers and eaters, because it helps farmers make a living wage, keeps more land agricultural (rather than developed), helps eaters make more informed choices, and encourages farmers to use sustainable growing methods due to the demand of the informed customer. The downside to this, of course, is that the cost of healthy food has still not been adequately addressed, and “organic” and “local” food remains a niche market. My hope is that the “foodie” movement will continue in a direction toward justice, teaching and empowering people to grow their own gardens and join community gardens, gaining governmental funds to help people afford fresh food (rather than the current subsidies system), and that prices will decrease as the movement grows and the price of all food reflects its “true cost”. Can you describe what it is like to be a resident, student and activist in Arizona at the moment? Thanks, Erin, for providing the photo and the excellent responses to our questions! Next PostNext @InstSocEcology: Follow the ISE on Twitter!